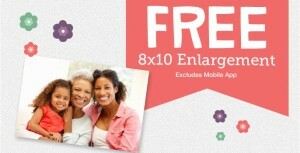 Through 5/10 you can get a Free 8×10 Enlargement at Walgreens. Enter coupon code ENLARGEIT at checkout. Offer expires 5/10 @ 11:59 CT. This entry was posted in Photo by mlemon317. Bookmark the permalink.